If you’re looking for a 5-passenger compact SUV that’s efficient, well-equipped, and can accommodate your whole family in Surprise, then come to Cactus Jack’s in Phoenix to check out our lineup of used Kia Sportage SUVs for sale right now near Mesa. Recent Kia Sportage models are offered with fuel economy numbers up to 30 mpg highway, as well as other in-demand features like all-wheel drive (AWD) and a state-of-the-art UVO infotainment interface with smartphone app integration and navigation. Find out more about the new Sportage today, and check out your Kia Sportage financing options in our finance center! Get an Affordable Used SUV Near Glendale Today! 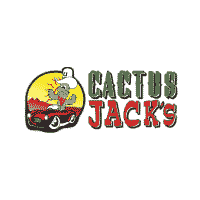 Cactus Jack’s is your source for affordable pre-owned SUVs near Avondale–including the used Kia Sportage. Make the trip from Tucson to check us out in Phoenix today, where you can take advantage of our Buy Here Pay Here policy, as well as the ability to drive home a new car for just $500 down! We have eight dealerships throughout the area, so come in and see us at any of our locations today!